Happy New Year! Every three months I do a passive income and business report. This one is really special because I now have data stretching back two years. Passive income is income you can earn in your sleep – not like swapping hours for money. Last quarter (July to September 2013) I earned, for me, a massive $5191.36 passive income. My passive income target for this quarter (October to December 2013) was an even more ambitious $6000. Over the last three months my Udemy courses have brought in $3127.69. I have just written a new Kindle book with the title How To Sell Video Courses Online: How I earn $1000+ a month while I sleep so I have to be true to my word and bring in an average of $1000 a month from Udemy. If you’re interested, here’s an article on how to sell video courses with Udemy. This quarter I started to experiment with Amazon Kindle publishing. Apart from the above book about online teaching I also published Running A Web Design Business From Home: How To Find and Keep Good Clients and Make Money with Your Home Business. I didn’t enter the Kindle marketplace with the intention to make money. Although Amazon’s royalties are a little tricky to work out, I might as well share the revenue with you here: (let’s call it) $200. Although I’m not a big AdSense fanatic, I am starting to make a bit of money from my YouTube channel these days and I can bundle that in with the tiny AdSense revenue I get. Total income from Google this quarter: $498.30. I’d been making more money from affiliate sales in the past as a couple of articles on WordPress hosting that were quite popular. The popularity of these articles, however, has waned recently as they were written a while ago so my affiliate income has reduced. Here is a breakdown of affiliate income from the last year. As you can see it’s dropping. I could write more articles reviewing products that I’m an affiliate for, but I only want to do this “naturally”. I sell two PDF e-books from this site both costing $24. It’s not to see why these sales are falling off. My Kindle e-books are on Amazon for $2.99 and, while they’re not the same content, it’s getting hard to justify $24 for a 10,000-word PDF e-book. All together the Udemy income along with the e-books’ sales, the Google income, Kindle sales and the affiliate commissions brought in a grand total of $4626.56 in passive income in Q4 2013. So, that makes the total for 2013, $15,803.90 compared with $8,553 from 2012. That’s quite cool, actually. You can definitely say I’m kicking on with the passive income. I think this is mainly down to the Udemy products but you can also see the importance of multiple income streams. My passive income target for 2014? Go on, $30,000 updated to $50,000 see comments below. As you can see, I missed my passive income and visitor targets for the last quarter of 2013. I’ll keep them the same for the first quarter 2014 and will see how we get on. OK. Fair to middling. Let’s see how I get on in the next quarter. These are a bit of a waste of time but I might as well keep doing them. Social follower numbers don’t mean anything without engagement. But, it’s a fun thing to keep an eye on. My previous goals have been along the lines of looking after myself spiritually, mentally and physically (avoid alcohol, eat well, exercise, meditate and help people). These haven’t been going great, apart from the meditation. I broke my arm two months ago and I got the flu over Christmas which gave me great excuses to not exercise and eat and drink badly. I haven’t had many breakthroughs with “helping people” either. However, I have been feeling better these last few months and, as the weather deteriorates in London this time of year, that’s quite an achievement. I’m trying to feel grateful for what I have (which is a lot) and I think that’s helping. I’m really glad everytime I get an email from someone saying that they have been inspired by these income reports or by the site in general. I would like to thank you all for coming and contributing, I’m really grateful. I wish you all the greatest health, wealth and happiness for 2014 and every year hereafter. But, don’t forget, you can do it. You can achieve any passive income target you want to set. Just take one step at a time. Hi Rob! Great Work! I’d love to know some other ideas you have kicking around that you can’t get to. You know, those “If I had more time” kinds of ideas. My best idea by far was creating a PDF book and selling it from my site. But not just any book. The book was vetted by the popularity of an article on my site. So if you have an “anchor article” brining in targeted traffic, you can do well. The more niche the better, if the article is about solving a problem people in that niche. That’s a good question. I think the more ideas you can get round to and explore the better. That’s a good New Year’s Resolution – act on more ideas. Your idea on acting on that popular blog post was exemplary. I think it’s proof that the best way to get ideas is to keep on writing different blog posts and experiment a bit. I think I need to write some slightly different stuff and get out of my comfort zone a bit. Happy New Year to you and yours, Doug. This is awesome Rob seriously. A very curious post, enjoyed the read. However I have one observation. Your target for next year, it’s a bit too realistic. If you carry on with the rate of progress, I have no doubt that you’ll hit this as you are building upon everything you know and have already done. And that’s my point, this year you are not starting where you were last year, you are already several steps ahead. So having a target of only double this year is easy, why not go for $60,000 or 90,000 instead? This is 4 or 6 times more than last year because you’re already many, many of steps further on than last year. Plus it’ll get you out of your comfort-zone and help you think differently to what you have done (which is working, we’re just needing to up the pace a tad). PS. You know the goals I set myself for January 1st, they were so unrealistic I didn’t hit them but got very, very close. So, you probably have a point. Targets should be SMART (the R is realistic). But maybe $50,000 – I’ll have to be very successful to do that. But, why not? OK, you’re the man. I’ll edit in the post. Whoops, didn’t mean for you to feel uncomfortable, apologies if that was the case. Your posts are a real inspiration – thanks for doing them and for being ballsy enough to share all the gory details from revenue to goals and aspirations! Absolutely amazing work on your income. Your Amazon ebooks sales of $200 is not great but I am sure it will pick up. The best ones are your Udemy courses. Well done. I am very much interested in starting one myself but seriously have to think of what type of courses I can do. Do you have a blog post about it? Thank you, Shalu. I’m not sure if my Amazon income will improve much unless I write loads more books, well, maybe I will! 🙂 Yes, I have a blog post here Sell Courses Online With Udemy and How I Made $1421.20 On Udemy This Week. Software courses do pretty well on Udemy, like Excel, Photoshop, Java, coding, etc., but there are a lot of other personal development and tourism courses, etc. You could just search on Udemy for a few things and get a feel for it. This is an AMAZING report!!!! CONGRATULATIONS!!!! You have reached most of your goals. What a great passive income making money for you while you sleep. And you never stop engagement with others, right? This is an ongoing thing. You really inspire me. This Udemy courses is one of my target goal. It’s kinda scary right now but with a lot of practice on YouTube, it will prolly become better. You work so hard, Rob. You are a multi-talented man who wears a lot of hats. Again, thank you for all the inspirations. I’m still reading your latest books! Anyway, it’s getting late here. Seems like nihhtime is my favorite night to read my friends blog. I forgot to ask you…how did you manage not to put a date on this one? I want to reconstruct my other 2 niches web, develop the content and do not put a date. But how? I appreciate your help, Rob. Not with you here, Angela, this post is dated 2nd Jan. However, it’s easy to take off the date in WordPress but depends on your theme as to how you do it. Let me know if you need any help. Yes, keep on with the YouTube tutorials. Design how-tos with Photoshop, Illustrator and InDesign are quite popular both on YouTube and Udemy. You will get better the more you do. You’re nice and slow and easy to understand already. I came accross your site months ago when I was searching for ebook cover. I never cared about other things. I just saved the page and ruched out. But just yesterday I decided to go through the page and offcourse take another peep on your site only to notice that you are even doing greater things than I even thought. Give me a better sit cos am not leaving your site. Thanks 4 the detailed stat. You ar a “catalyst”. That’s good to know, Easy, you can always subscribe and not miss a thing! I’m surpised you earned that much from YouTube ads. You should try experimenting with adding more videos. Keep up the great work Rob. These reports are pretty motivating. Really hope they’re motivating, Rahat. That figure’s about 70% from YouTube; 30% from Adsense. I get about 15,000 video views a month. To be honest with you, this is really inspiring! I plan earning a four figured income this year and this post has indeed lifted my spirit. Thanks for this and do have a wonderful week. I’m sure you’ll achieve those 4 figures, Emmanuel. I’m glad this has been inspiring. I bet your are doing great. You are my inspiration. I like that kind of reports. I also share it more often than you, every month! I could see that the main income was from your course, but you didn’t share where the buyers were coming from. If I am about to plan an online course as well, where you recommend me to promote it? Thank and hope to get some feedback soon. The courses are mostly sold on Udemy. Have you read my articles Sell Courses Online With Udemy and How I Made $1421.20 On Udemy This Week? There are other platforms but Udemy is the market leader. You can always sell them from your own site which I will be doing as well. Got it. I will read them. Hi Rob I have question how you track your finance report? I have an excel document with everything in it. It’s all different. 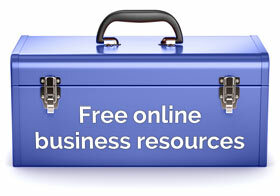 All the platforms (Udemy, Adsense, Kindle) provide relatively up-to-date figures. The affiliates are a little more different. Some of them I go to there affiliate panel every time I do one of these posts. Sometimes I just add up the money I’ve received via PayPal. 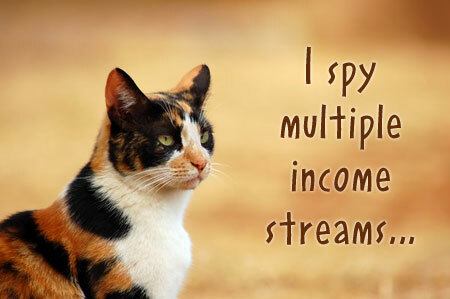 I make sure I do it the same way for each income stream each quarter so I can compare properly.